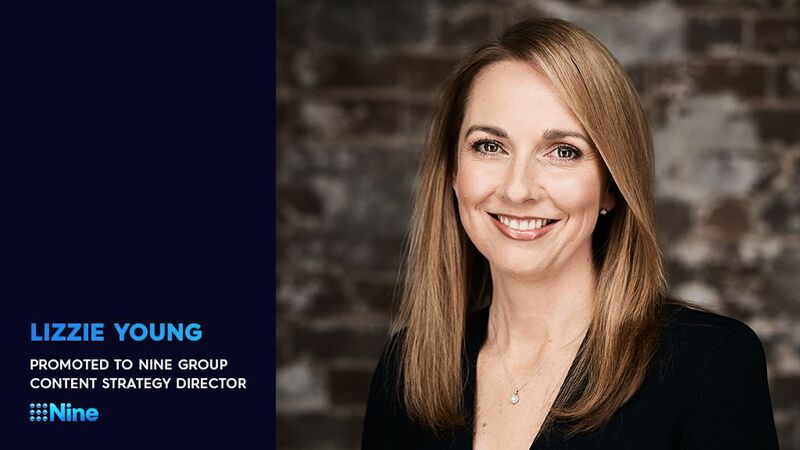 Nine has announced the promotion of Lizzie Young to the newly created role of Group Content Strategy Director. Nine CEO Hugh Marks said Young would be charged with driving Nine’s approach to the distribution and commercialisation of Nine’s content assets across all the platforms now available to us as a business. This will ensure that Nine can continue to invest in the Australian news, sport, entertainment and lifestyle content that audiences are engaging with. “The facts are that Australians are consuming more television content than ever before,” Mr Marks said. “However, as audiences change the way they consume our content we too need to continue to innovate how we both create, and distribute, the unique premium Australian content that we invest more than $700 million every year on. Young said she was excited about her new role and the challenge of finding new ways to engage both audiences and advertisers. In the new role Young will report directly to Hugh Marks. Nine’s CEO said the appointment was a sign of the company’s emphasis on ensuring it is focused on building new revenue streams and exploring partnerships in key areas of audience growth. “My challenge as CEO is to ensure our management team is fully equipped and ready to embrace change and the evolution of our business model,” he said.